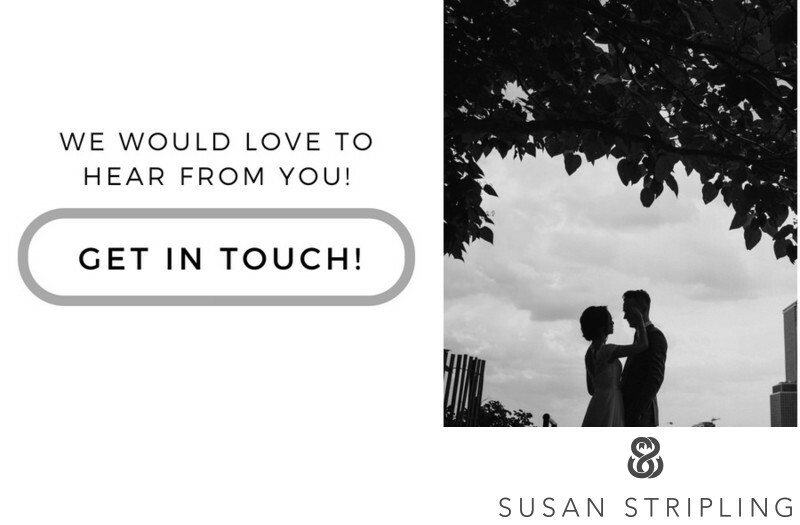 I am often asked how much I have a hand in the making of the moment-based images in my wedding photography. The answer is almost nothing and a little bit of everything. Two decades in the wedding industry means that I've seen a lot of weddings. I've met a lot of people, and seen a lot of moments unfold. There isn't a single scenario that I haven't dealt with, experienced, documented. With that comes a wealth of insider knowledge about weddings, both large and small. That knowledge is completely invaluable when it comes to watching moments unfold, knowing where to look for them, and knowing how to capture them. My job is to follow these moments, put myself in the right place to capture the right light with the right tools, and allow those moments to unfold without interruption or prompting. Simply put, my responsibility is to observe. To watch your bridesmaid reach out to look at your new wedding ring. To be quiet, unobtrusive, and not distract from the moment. To see how the light falls from the windows onto your hair and your hands. 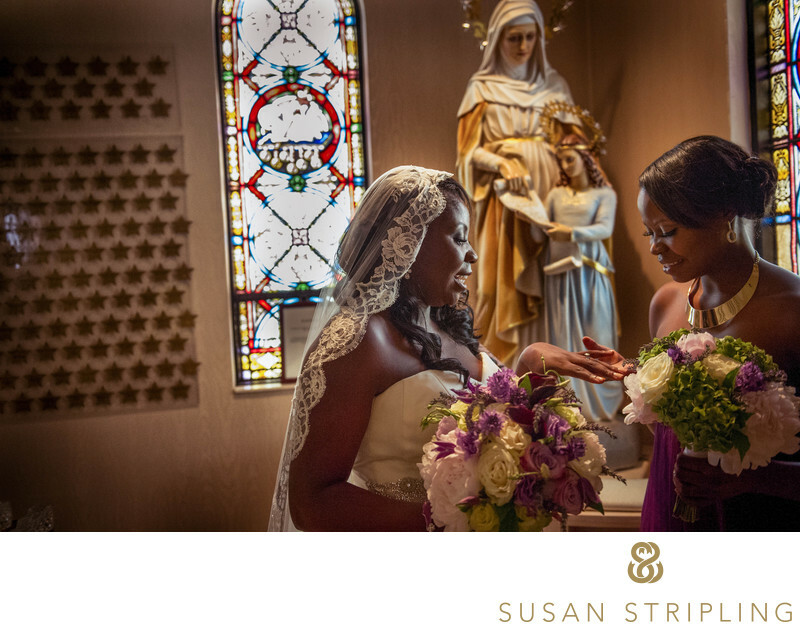 To have the right tools in my hands to create an image that encapsulates what it feels like to be right there, in that sweet room off of the side of the chapel, in the moment that looking at your new wedding rings bring tears to your eyes. Do I stage those moments, though? The answer to that is no, no, never, and absolutely not. If I stage or create a moment, then the moment isn't a real one. I don't want you to look back later and remember when I made you do something, stand somewhere, or re-enact something that you already did. I don't want you to look at a lovely picture of someone who is you, but doesn't feel like you. I love the honesty of a beautiful, real moment - those take priority over staged moments any day! Location: 455 Washington Blvd, Jersey City, NJ 07310. 1/160; f/2.8; ISO 4000; 34.0 mm.